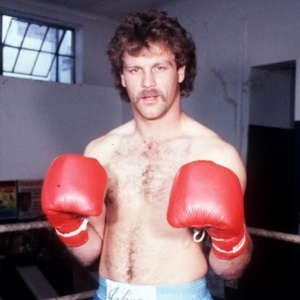 Former SA heavyweight Johnny du Plooy, who once knocked out Mike Weaver, has died at the age of 48. Du Plooy, a charismatic and exciting fighter, died in Primrose near Johannesburg on Friday morning. He had been suffering from heart problems in recent years. He fought former WBA heavyweight champion Weaver twice. In November 1987 he retired after the sixth round of their bout at the Rand Stadium in Johannesburg, saying he had injured once of his hands. But in a return match at Sun City the next year, he knocked out the American, who had knocked out Gerrie Coetzee in a WBA title fight 1980, in the second round. Du Plooy once challenged Francisco Damiani for the vacant WBO heavyweight title but was knocked out 1 minute 43 seconds into the third round of the bout in Italy. He also fought international opponents such as Stanley Ross, Mike Jameson, Steve Zouski, David Jaco, Kevin Porter, David Bay, James Tillis and Tyrone Booze. One of his most memorable fights was against SA champion Pierre Coetzer. They met in a non-title match at the Sun City Superbowl on August 4 1990. It was reported at the time to be the fight with the biggest purse in SA boxing history and there was a lot of needle between the two camps. Both fighters came out throwing bombs from the first bell. Coetzer was cut above the left eyelid early on and started bleeding profusely. In the second round Du Plooy jolted Coetzer’s head back with lefts and rights, culminating in a big right hand that sent Coetzer crashing down to the canvas. Coetzer was not badly hurt, however. As Du Plooy rushed in, looking for a knockout, Coetzer knocked him down with two vicious left hooks, one to the side of the head and the other to the jaw. Du Plooy beat the count but went down again from another left hook. He got up but referee Stan Christodoulou stopped the bout 2 minute 46 seconds into the round. Even though the fight lasted less than six minutes it was chosen as the King Korn/Boxing World Fight of the Year for 1990. Du Plooy was born on September 27 1964 and became an outstanding amateur. He won the SA heavyweight title in 1982, 1983 and 1984 before turning professional on April 27 1985. In his first professional bout he knocked out Sephonia Naile in the first round. Promoted by Rodney Berman of Golden Gloves, Du Plooy then won 16 fights in a row; 14 of which inside the distance. One of his victims was former WBA cruiserweight champion Ricky Parkey. Weaver was the first man to beat him but he bounced back to beat James Broad before knocking out Weaver. Du Plooy then drew with James Pritchard in a lacklustre performance and lost, controversially, to Renaldo Snipes in Milwaukee. He went down in the seventh round without being hit, indicating to the referee that he did not want to continue. He won his next three fights before losing to Damiani. After the fight against Coetzer, Du Plooy beat Tom Tomashek and Philip Brown before being knocked out in the first round by Corrie Sanders in a challenge for the SA heavyweight title in July 1997. Sanders later knocked out Wladimir Klitschko in the second round to win the WBO heavyweight title. He also died young; shot during a robbery in September last year when he was only 46. Du Plooy retired after losing to Sanders, but returned for two more fights; stopping Samson Mahlangu in June 1993 and Benjamin Manyube in June 1997. He finished with a record of 27-5-1, including 22 wins inside the distance.